Was This San Antonio Health Director Fired for Fighting Big Soda? 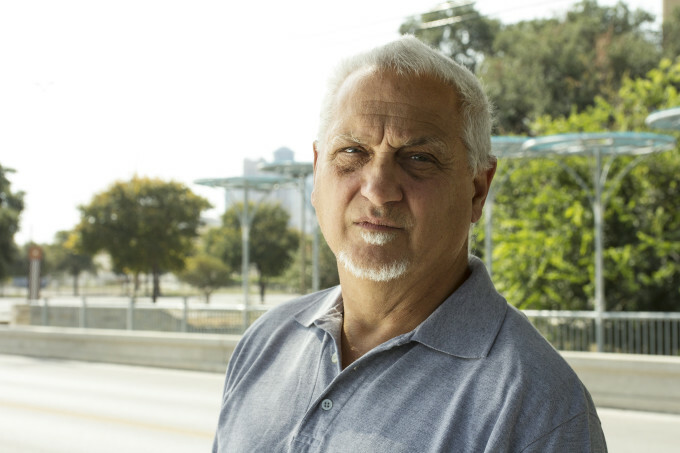 When Thomas Schlenker was dismissed from his role as the Metropolitan Health District Director in San Antonio, Texas last July, the city said it was due to “unprofessional conduct.” But Schlenker believes he was let go for fighting Big Soda. In an August op-ed, the 65-year-old pediatrician describes San Antonio as, “a community two-thirds overweight or obese, 18 percent diabetic, where it has been amply demonstrated that these morbid conditions are tightly associated with daily soda consumption, and where 64 percent of the populace drink one or more sodas every day.” Yet, Schlenker’s 2014 effort to lower sugary drink consumption through a public health education campaign was undermined, he says, and eventually derailed by the soda industry. Schlenker, who began working for the city in 2011, first became interested in the link between obesity, diet-related illness and sugary drink consumption in 2013. At the time, Centers for Disease Control and Prevention-funded nutrition and physical activity initiatives (including public education campaigns) were found to have helped decrease the adult obesity rate from 35 to 29 percent in Bexar County (which includes San Antonio)—a statistically significant finding. “We found that over the two-year time period, the proportion of folks who drank soda daily, went down in exact parallel with the obesity rate,” he says. And yet, the city was receiving significant donations from the soda industry ($3.7 million total to San Antonio in 2013 and 2014). Concerned about an inherent contradiction, as well as the city’s declining health, Schlenker proposed a public education campaign. Although the city says its decision to let Schlenker go is unrelated to these facts, the correlation fits a larger pattern taking place in cities across the country, where soda industry funding often coincides with big changes in public health programming. In Philadelphia, for instance, the American Beverage Association pledged a $10 million donation in 2012 to a local children’s hospital for childhood obesity research and prevention, while simultaneously lobbying the Philadelphia City Council to kill a proposed soda tax. They also donated $45,000 to the progressive Harvey Milk Club in San Francisco, which then publicly opposed the 2014 sugary drink tax in that city. Similarly, Coca-Cola made a $3 million donation to establish nutrition and fitness programs around Chicago, just months after the Chicago City Council proposed a soda tax, which failed to pass. Under fire for funding scientific research that de-emphasizes the link between sugary drinks and obesity, Coca-Cola has since released a broad list of health, medical, and community organizations that have received close to $120 million in donations since 2010. In all of these cases, critics say the soda industry hoped to reframe the debate, shifting focus away from the connection between obesity, chronic disease, and sugary drinks. This type of philanthropy also has the ability to silence potential critics. As Schlenker sees it, that’s precisely what may have been happening in San Antonio. After Schlenker presented the 2013 data correlating sugary drink consumption with obesity to city officials in San Antonio, Mayor Julian Castro supported forming a working group to develop a public campaign to lower consumption of these drinks. The working group, which consisted of Metro Health, the American Heart Association, the Methodist Health Foundation, Interlex Communications, and Salud America, began meeting in the summer of 2014. Emails obtained by the San Antonio Express-News, through a Freedom of Information Act request, show that the Coca-Cola Company Director of Public Affairs and Communication, Luisa Casso, reached out to city leaders and asked to be part of the effort to design the campaign. “I met with soda people in July and August and then into the fall,” he says. Schlenker recalled one meeting that took place in the City Manager’s private conference room with Casso, San Antonio Deputy City Manager Erik Walsh, and an American Beverage Association lobbyist from Austin. “The meeting was all about what industry could do to help us in San Antonio if we had ‘a more enlightened view’ on health, fitness and obesity,” he says. Casso did not respond to Civil Eats’ request to confirm that this conversation took place. Coca-Cola Company Director of Public Affairs and Communications Luisa Casso, at times joined by representatives from the Texas Beverage Association, repeatedly took issue with any brand names, messages, or imagery that they perceived as “negative,” despite the fact that these concepts tested as most effective in raising awareness about the potentially harmful effects of sugary drinks and motivating people to reduce consumption. Just weeks after Schlenker disbanded the working group, the surrounding Bexar County picked up the ball and formed a coalition to design a similar campaign to reduce sugary drink consumption. Schlenker was invited to join the coalition, and in June 2015, the county released a campaign called “Is Your Drink Sugar Packed?” throughout the county and in San Antonio (see image below). 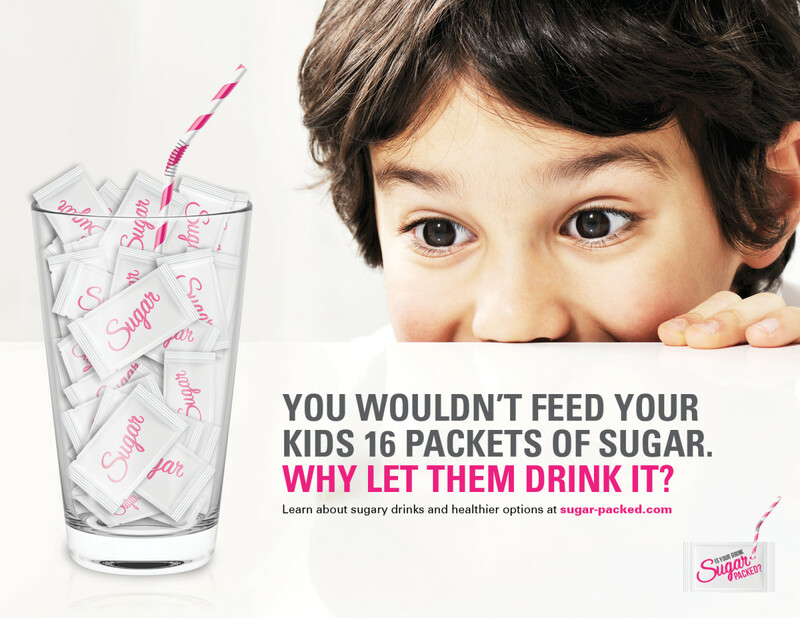 The campaign reveals the amount of sugar in soft drinks and draws a connection to obesity. In April 2015 Schlenker sought a San Antonio City Council resolution supporting the Bexar County educational campaign. The Council, including Mayor Ivy Taylor, would not support any initiative to discourage consumption of sugary beverages. All told, the soda industry donated a total of $3.7 million to San Antonio in 2013 and 2014. In December 2014, San Antonio’s Mayor Ivy Taylor announced a grant of $200,000 from Coca-Cola to renovate a local Park. In June 2013, Mayor Castro announced a $1.5 million award from The Coca-Cola Foundation to create a healthier community and lower the obesity rate. The grants went to organizations like San Antonio Sports and the San Antonio Food Bank to “get San Antonians moving” and provide nutrition education. Then, in January 2014, the American Beverage Foundation for a Healthy Americaawarded the city a $2 million grant for its participation in the Employee Wellness Challenge with the City of Chicago. According to a statement by City Manager Sculley, Schlenker was terminated as “the result of a two year history of increasing dissatisfaction with his lack of leadership, continued disregard for direction and repeated instances of unprofessional conduct.” She also cited, “unprofessional treatment of women” on three occasions. “I was totally taken by surprise when (Sculley) called me in at the end of the day and summarily fired me,” says Schlenker. An HR document provided to Civil Eats by Jeff Coyle lists nine incidents/complaints about Schlenker in 2014, including charges of insubordination, disengagement, failure to follow directions, treating women differently, being argumentative and failure to submit op-eds and articles for review before publishing. On May 15, 2015, a female employee complained that Schlenker made inappropriate comments about women on three occasions. Schlenker says he was not notified about the woman’s claim until the day of his dismissal. According to Coyle, there were no problems documented prior to 2014. However, Schlenker was awarded unemployment compensation after the Texas Workforce Commission reviewed the circumstances of his dismissal, and sided with him. “Our investigation found that your employer fired you for a reason that was not misconduct connected with your work,” reads a September letter from the commission. During Schlenker’s five year tenure at the helm of the city’s health department, San Antonio saw a drop in the teen birthrate by 21 percent; passage of statewide legislationto require testing for syphilis in the third trimester for all pregnant women in Texas; and growth of Metro Health’s prevention program by over $10 million a year. As of now, Schlenker plans to remain in San Antonio and continue to work on educating the public about sugary drinks. Despite recent history, he says he is not against the soda industry giving money to cities. First appeared in Civil Eats.